Come and have a go at this great sport. The club will be able to provide you with all the equipment you need. All you need is a pair of flat bottomed shoes or trainers. 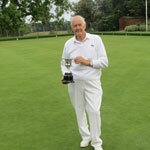 Buxted Park Bowls Club held the final of the Wickers Cup on Saturday morning. 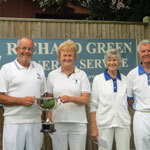 This was an exciting match with Roy Williams and Sylvia Smith from West Hoathly playing against Sue Walter and Graham Dale from Buxted Park. The match was really close and at the end of 21 ends the score was 18 all. 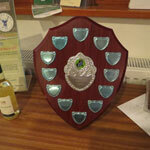 An extra end was then played which resulted in the Buxted Park pair winning the Wickers Cup by 1 shot. The event is sponsored by Richard Green Funeral Directors whom we wish to thank. 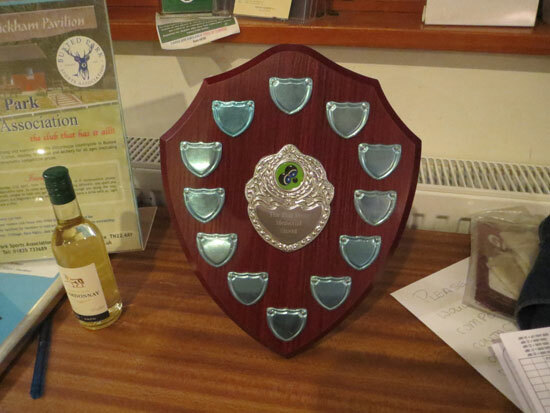 The club played their first Phil Frost Memorial Shield competition on Tuesday night. This was played to the Mid Sussex League rules and was played by the Mid Sussex League team against the John Spriggs league team. Phil was treasurer of the club from 2000 to 2003 and then Chairman from 2004 to 2008 and came up to the club and watched the Tuesday league matches. 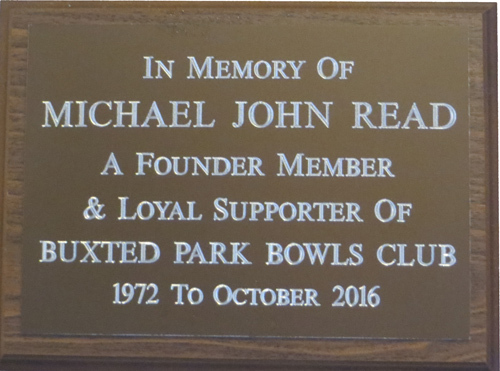 His family kindly donated the shield to the club in his memory following his death in July 2017. 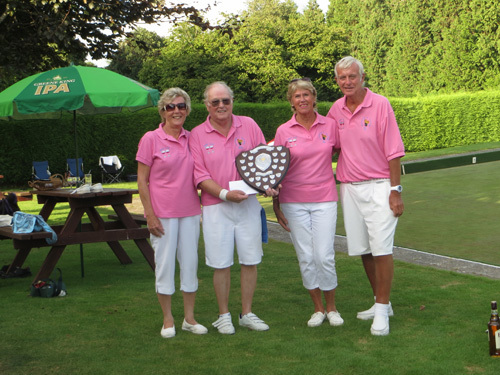 It was won by the Mid Sussex team on points as the overall result was 1 win, 1 draw and 1 loss for each team. 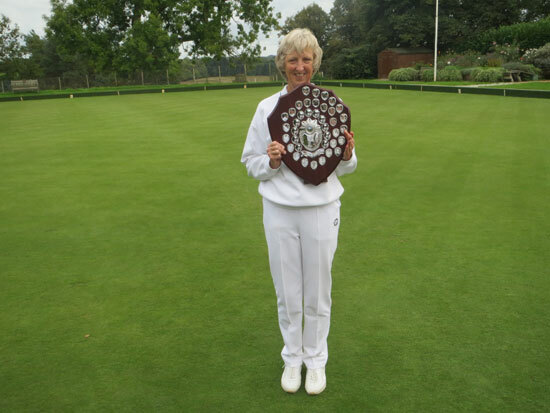 The trophy was handed to the captain Neil Parrington by Phil’s partner Val Smith. All enjoyed a supper afterwards. This was held on Sunday 29 July 2018. 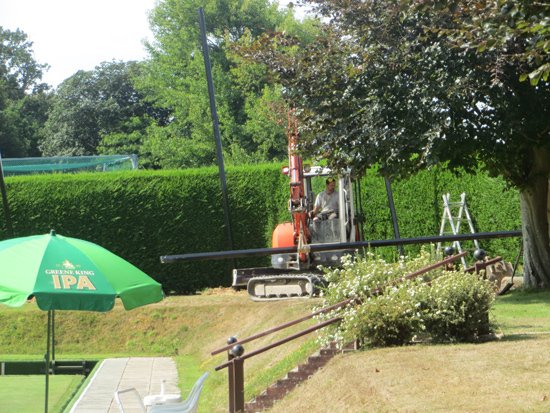 Despite weeks of sunshine and worries about it being too hot on the day, Sunday dawned with pouring rain. 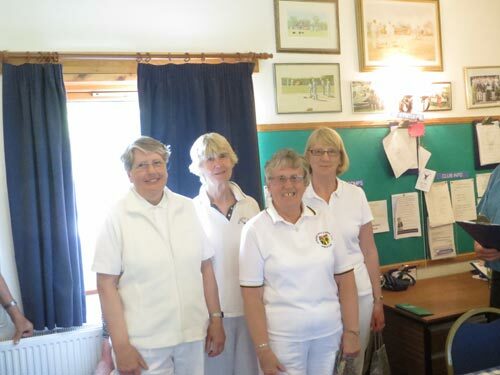 Hasty changes were made with the teams travelling to Wealden Indoor Bowls Club where the day took place. 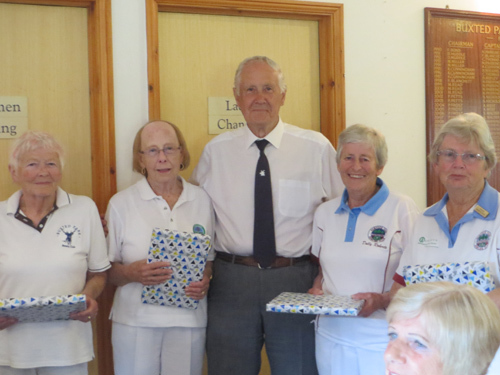 Club members worked at both venues to provide a salad lunch, cakes and numerous cups of tea and coffee. 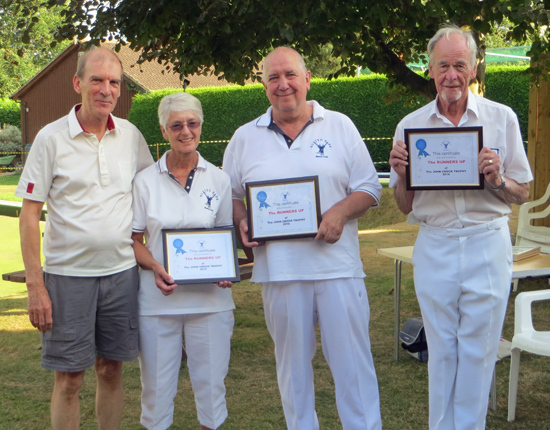 After a day of competitive bowling, a team from Wealden and a team from Westfield played a 4 end final which saw Westfield behind but skip Sharon Forward sent down a weighted bowl on the last end taking out the opposition’s shot to take 3 shots and win the final. On presentation of the shield to the skip Sharon Forward, Buxted Chairman John Hickey explained that the Competition name has been changed to Mick Read Invitation Day in memory of our founder member who died in 2016. 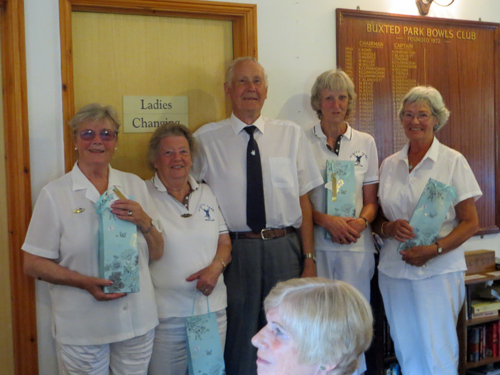 On Sunday 3 June Buxted Park Bowls Club held their Ladies Day. 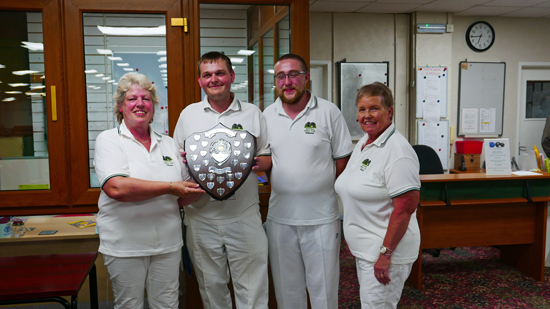 After 20 ends the winners from each group played a 3 end final with the team of Sue Cosham, Jeny Mitton, Norma Dalgleish and Lee Godley winning by 1 shot. 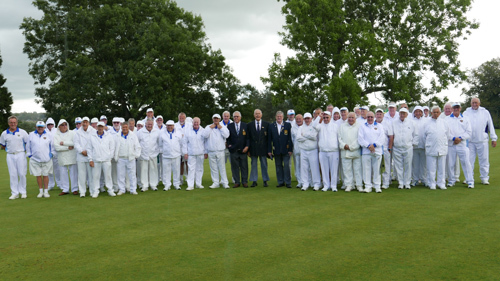 Buxted Park Bowls Club held their annual Captain v Chairman’s match on Bank Holiday Monday. 30 players enjoyed a game of bowls with the team led by Chairman John Hickey winning the Cup with 73 shots to the Captain, Eddie Cornwell’s teams 59 shots over 21 ends. The match was played in friendly rivalry on an extremely hot afternoon and all enjoyed a ploughman’s supper afterwards prepared by the captain’s wife and family. Our coach will be there to help and instruct. Please wear trainers or flat soled shoes, all bowls and other equipment will be provided. 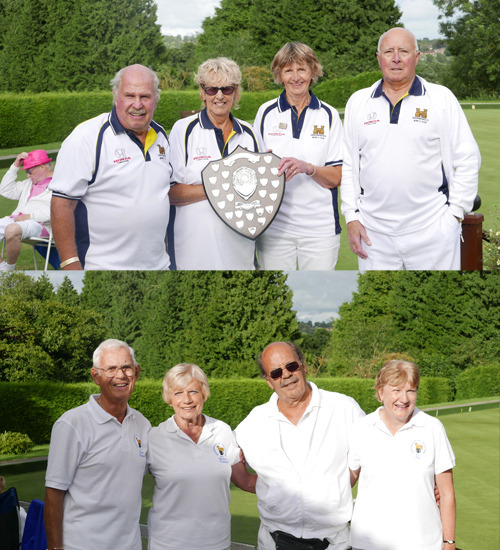 The outdoor season ended on Sunday 24 September with a match between the Buxted Park Cricketers and the bowls members. A friendly game in lovely sunshine was enjoyed by all followed by a ploughman’s lunch. On Monday and Tuesday members worked on the green to put it to bed for the winter. 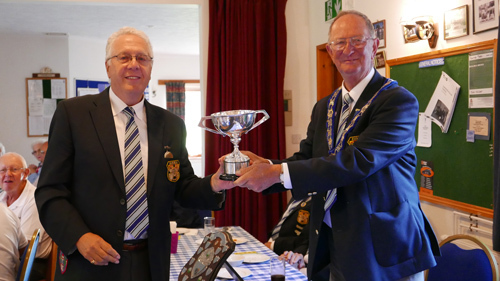 On Sunday morning they also hosted the final of the Wickers Cup in which a team from West Hoathly of Roy Williams and Sylvia Smith beat an Uckfield team of Chris Searle & Doug Thorogood by 27 shots to 12 shots over 21 ends. The club’s thanks go to all who supported the event including Richard Green Funeral Directors and Cranwell Wealth (our sponsors) and all members who helped marking, preparing food and getting the green ready. The green was handed over to the Controllers, Rod McBeth for Division 4 and Roger Day for Division 2 by Club Chairman John Hickey. The match which started in a heavy shower was very competitive. After playing 21 ends the result was a win for Division 2 by the narrow margin of 105 shots to 100 shots. This meant that for the first time since 2009 the cup is back in this area. 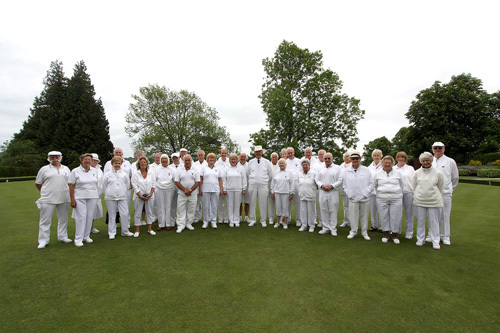 On 31 July about 30 members of the bowls club and a few friends went to Torquay for a week’s tour. 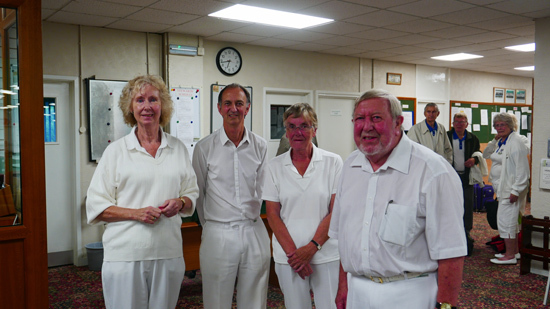 On Tuesday they played a match at Totnes, Wednesday was a rainy day so the match with Victoria Bowls Club in Torquay had to be cancelled but luckily there was an indoor green in the hotel complex and another team were there so an indoor match was hastily arranged. 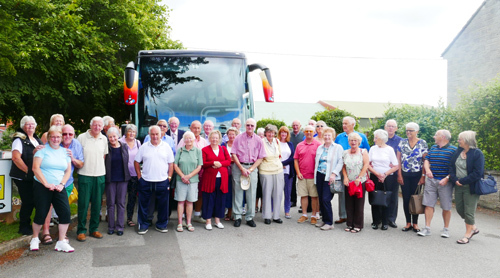 In the evening a group went to an hilarious show at Babbacombe Theatre with holiday makers from other hotels. 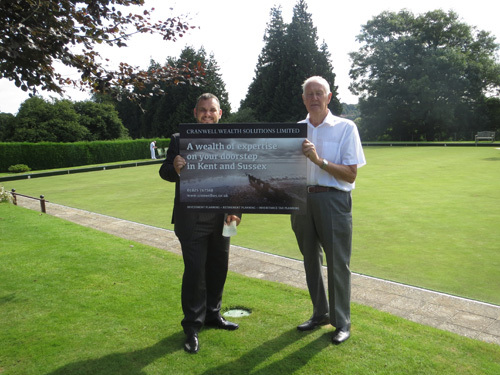 Thursday was Teignmouth, Friday was Paignton & Saturday was Kings Bowls Club in Torquay. 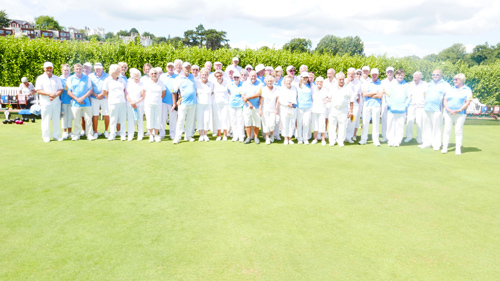 Invitation Day was held on Sunday 30 July when 80 players and a few guests enjoyed a lovely sunny day with excellent bowling conditions. All teams played 5 games of 7 ends and from that the 2 finalists were a team for Peacehaven and one from Herstmonceux. Phil sadly died on 17 July 2017. He had held several posts on the committee being Hon Treasurer from 2000 to 2003 and then becoming Chairman from 2004 to 2008. He also ran the “B” team at crib for many years. 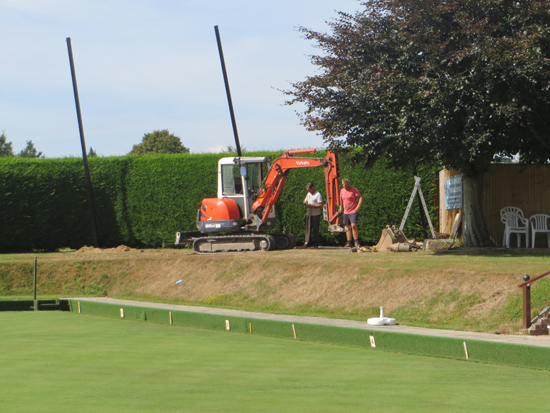 On a glorious sunny Monday afternoon Buxted Park Bowls Club men played a game against the Sussex County Past Presidents. There were 10 Past Presidents in the County side. At the end of the game of 21 ends the final score was Buxted Park 75 shots to Sussex County Past Presidents 73. After the game all enjoyed a meal provided by the Buxted Park ladies. It is with sadness we announce the death of John (known to all as JJ) and famous for his handlebar moustache and his yellow bowls. He has been a member of the club for a couple of years and will be sadly missed for his generosity and warm personality. 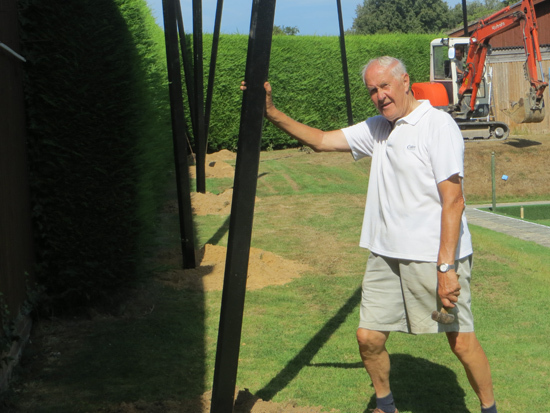 His funeral was held at Tunbridge Wells Crematorium on Thursday 22 June at 1.45 pm.. It is with regret that we announce that John Hawkins died suddenly on the 29th March 2017. He held positions in the club and helped on the green for many years. 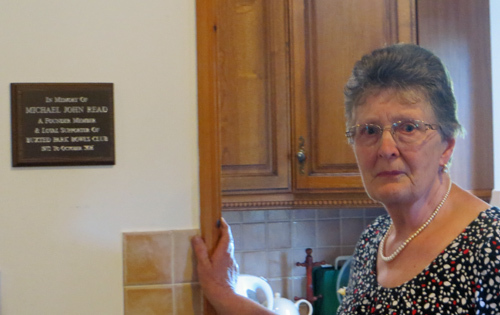 We sadly announce that Sheila Turner, a long time member of the club died on 29 November 2016 after a short illness. She will be sorely missed. She had prepared the lovely garden at the club in memory of her late husband for several years. Holy Trinity Church, Chillies Lane, High Hurstwood, Uckfield, E Sussex TN22 4AD on Friday 28th October 2016 at 11.30 am. All are welcome. 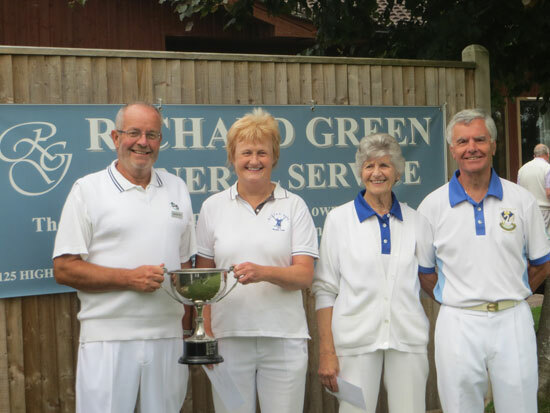 Wadhurst Mixed Triples Tournament Sunday 14 August 2016. 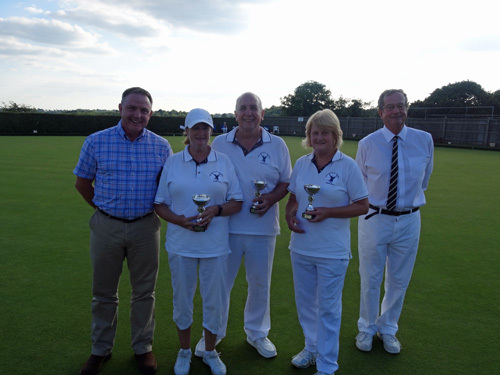 Buxted Park team of Susan & Paul Bray and Sue Walter were runners-up in Wadhurst Mixed Triples Tournament on Sunday 14 August 2016. 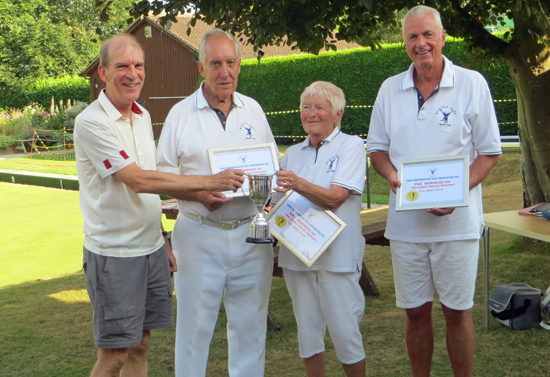 On Sunday July 24 the John Crock Trophy (Club Triples) was held. After 3 games of 5 ends the semi-finalists then played 4 further ends. The final of 4 ends was won by Ken Long, Peter Kerwin and Tom Acus. 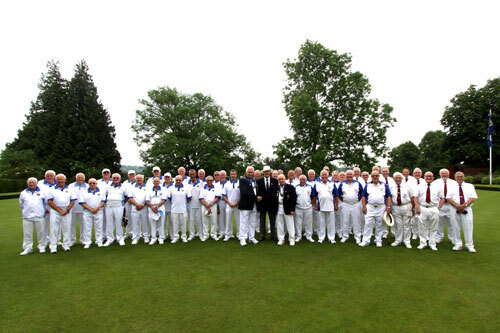 Buxted Park Bowls Club hosted a match on Tuesday 7th June between Sussex County Bowls and London Scottish Bowling Association. Despite a downpour half an hour before the game was due to start the conditions rapidly improved and the game of 21 ends went ahead without any more rain. London Scottish are a club who only play invitation matches as they do not have a ground of their own. Everybody enjoyed a competitive game but the result was a convincing win by Sussex with 144 shots to London Scottish’s 81. 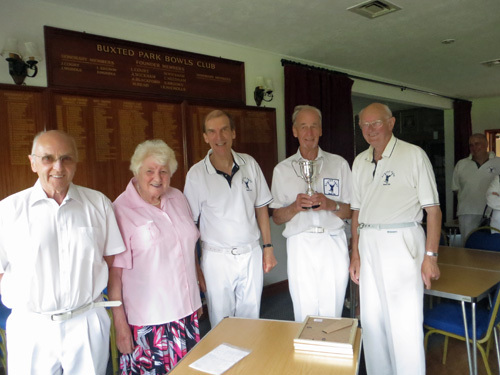 Buxted Park Bowls Club held their annual Captain v Chairman’s match on Bank Holiday Monday. 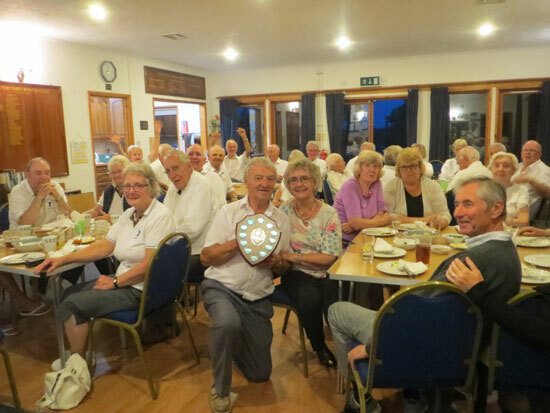 32 players enjoyed a game of bowls with the team led by Chairman John Hickey winning the Cup with 91 shots to the Captain, Sue Hanlon’s teams 74 shots over 21 ends. The match was played in friendly rivalry despite the extremely cold blustery conditions and all enjoyed a BBQ afterwards prepared by Dave Driver.